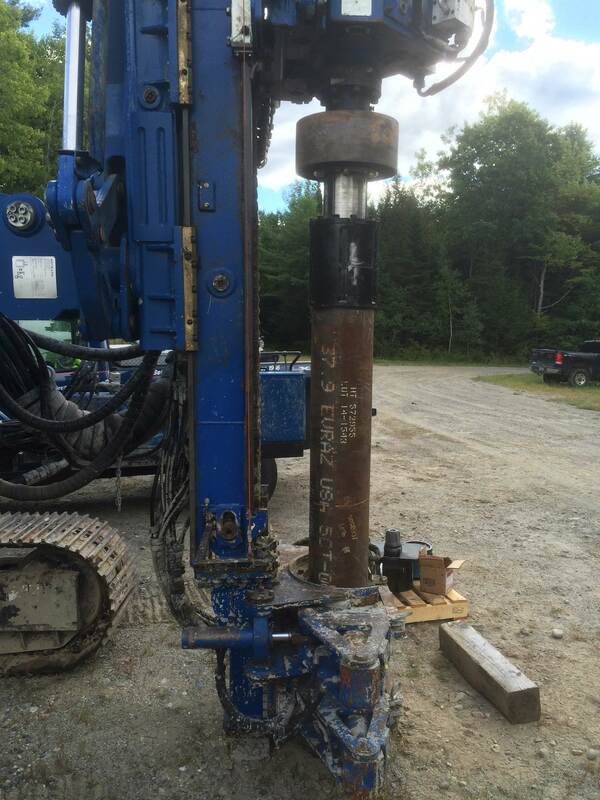 We were contracted furnish and install 375 LF of 7" Drilled Micropile. Also referred to as Spun Pile by the MeDOT. 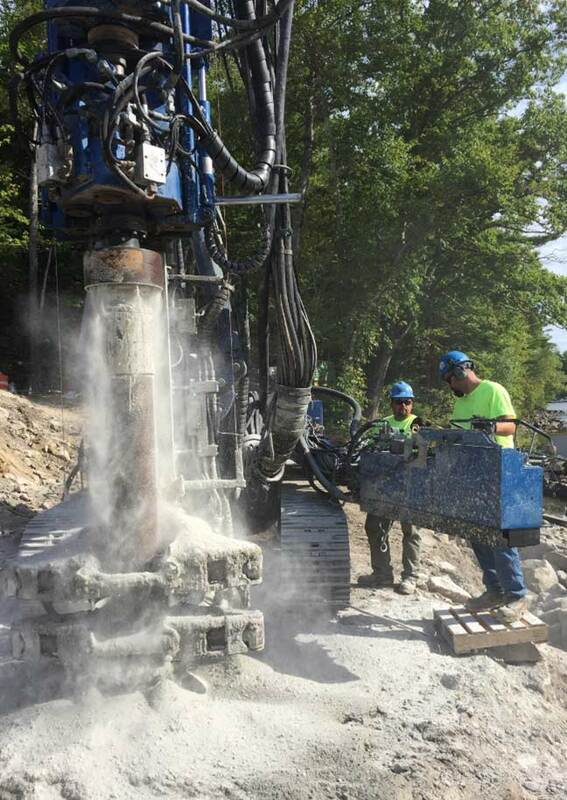 The Drilled Micropile was provided to support the precast abutments for the accelerated bridge construction project. The bridge had to be replaced in 35 work days and the drilled pile had 5 work days to install. The 7" casing was required to be advanced a minimum of 5 feet into sound bedrock through mixed till with boulders and sloping bedrock. MD&B beat the estimated schedule by working 2 shifts to install the 10 pile. The sockets were verified by sounding of hard bottom rather than load testing. This was the first of the Spun Pile detail that the Department had requested. The project went great and the Department contacted MD&B to help size a 10-3/4" system for the next project - we are fortunate to have been awarded this backlog for Fall 2017! Donald Allocco - Baron Utilities Corp. I want to express my appreciation to you and your crew for the work you performed on this Crown Castle Tower Foundation Modification project. This was a fast-track project in close quarters that was performed efficiently and professionally by all involved. You did an excellent job in communicating with us regarding planning and schedule, and in executing the work. Once your crew was on site, they were very cooperative in helping to protect the existing facilities, maintaining a clean work area, as well as performing the work safely and diligently. I would like to recognize you for a job well done, and look forward to working with you in the future."